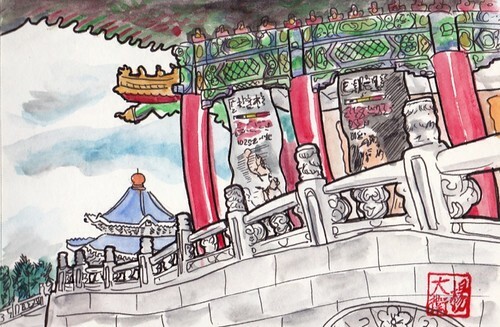 Daoist Temple in Taipei City, a photo by david.jack on Flickr. 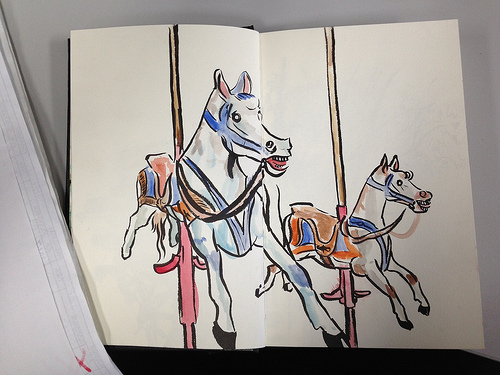 Lápiz y acuarela. 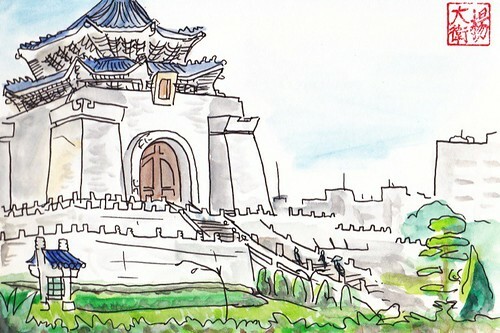 Pequeño templo Taoista en Taipei. Elevated MRT Station near Sogo, Taipei, a photo by david.jack on Flickr. 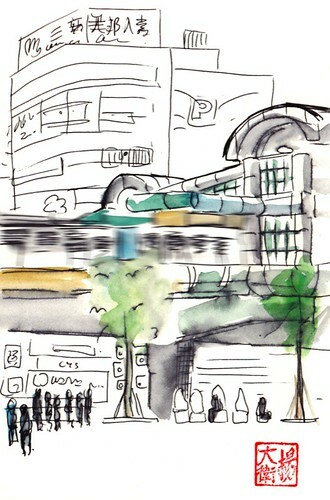 Sketch of an elevated MRT Station near Sogo in Taipei City. 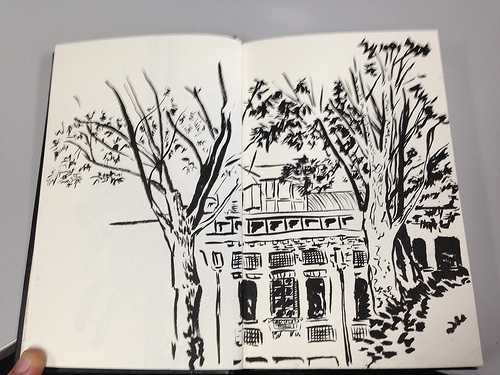 This sketch was done with a normal pen and a normal notebook (as opposed to "proper" drawing materials). As an urban person I'm in love with transport systems, and I like the idea of Taipei having some of its lines above the ground instead of under. Dibujo del paso elevado del metro (MRT) en Taipei City cerca del centro comercial japonés Sogo. El dibujo esta hecho con un boli normal sobre papel que no es de dibujo. 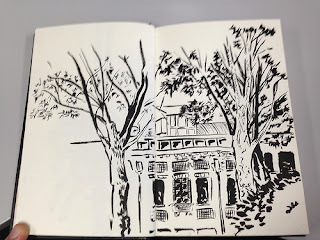 Como urbanita me siento muy cómodo entre grandes medios de transporte, y el paso elevado de un metro en una gran metropoli como Taipei atrae mi atención como dibujante. 紅毛城 - Fuerte Santo Domingo, Tamsui, New Taipei City, a photo by david.jack on Flickr. 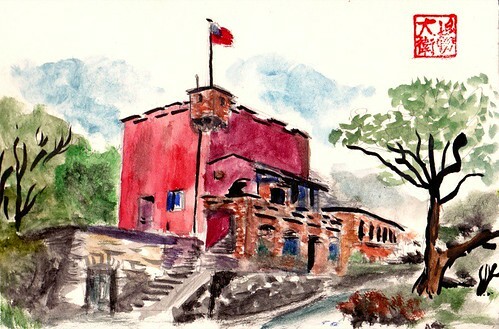 Sketch of the Fuerte Santo Domingo in Tamsui, New Taipei City. It was founded by Spaniards in 1628. I also was founded by Spaniards but not as long ago. 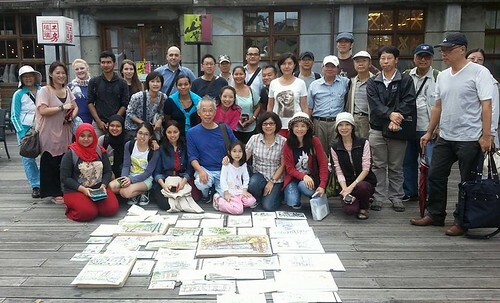 Dibujo del Fuerte Santo Domingo en Tamsui, Nueva Taipei. Se fundó por españoles en 1628. A mi también me fundaron españoles aunque no hace tanto. 淡水區 - Tamsui, New Taipei City, a photo by david.jack on Flickr. 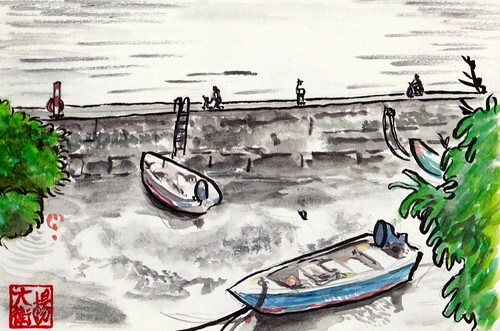 Sketch from Tamsui, a coastal district from New Taipei City. The Spaniards arrived there in the 17th Century so I guess there is a connection (I was born in Spain!). 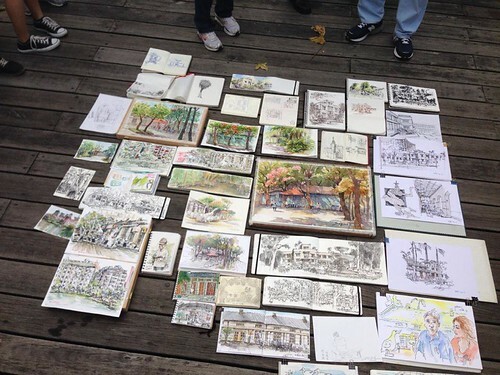 Dibujo de Tamsui, un distrito costero de Nueva Taipei. Los españoles llegaron aqui en el siglo XVII asi que imagino que está conectado de algún modo conmigo (nací en Barcelona!). 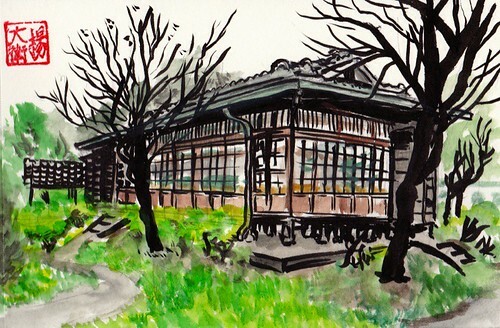 Dr Sun Yat-sen House, Taipei, a photo by david.jack on Flickr. 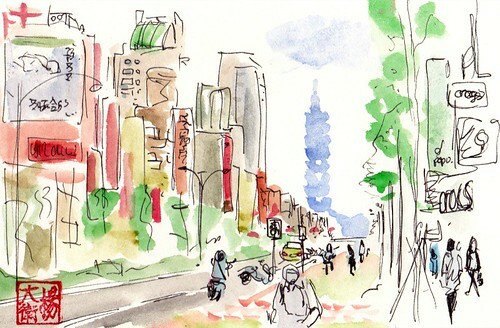 Intersection of Zhongshan N. Road and Civic Boulevard, 500 meters from Taipei Main Station. In the former Hotel Umeyashiki, where Dr. Sun stayed during his 1914 visit to Taiwan. Entre Zhongshan N. Road y Civic Boulevard, 500 metros de la estación central de Taipei. 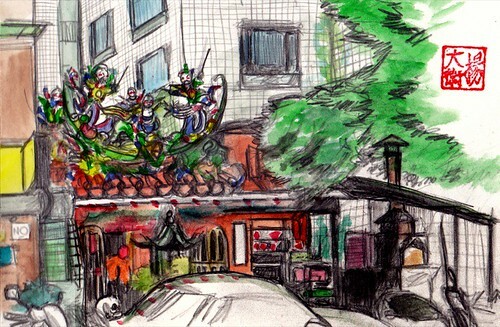 Anteriormente el Hotel Umeyashiki, donde el Dr. Sun estuvo en su visita a Taiwán de 1914. 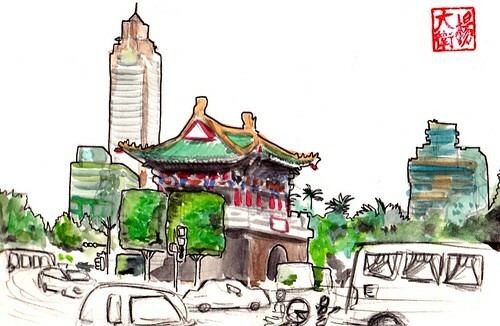 East Gate, Taipei “台北东门”, a photo by david.jack on Flickr. 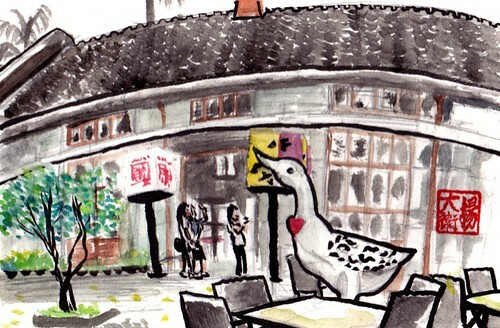 Taipei used to be a walled city. There is a few very visible reminder of those times in the city. This one is the East Gate and was rebuild in 1945. 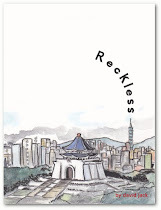 Taipei era una ciudad amurallada. Hay varias puertas (reconstrucciones aunque existe una original) de las puertas del antiguo muro. La Puerta Este (la de la imagen) fue reconstruída en 1945. Sun Yat-Sen , a photo by david.jack on Flickr. Sun Yat-Sen Memorial Hall, Taipei, a photo by david.jack on Flickr. 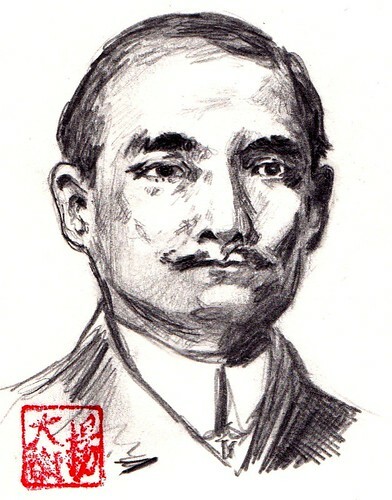 Sun Yat-Sen (1866 - 1925). Chinese revolutionary. Sun is refered as the "Father of the Nation" in the Republic of China (where I am), and the "forerunner of democratic revolution" in the People's Republic of China. I love this ship. 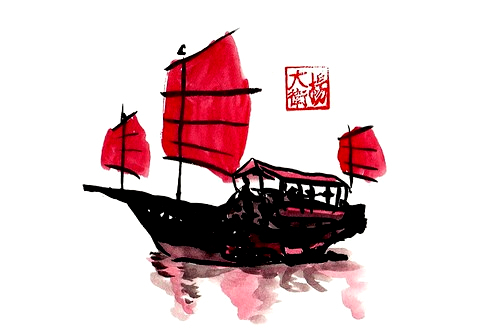 I only had like 1 minute before she was going to leave port to draw her, so my only chance was to use a brush, black ink and red watercolor. 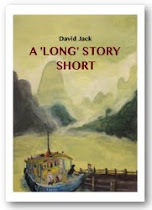 Un viejo Junco en las aguas del puerto de Hong Kong. 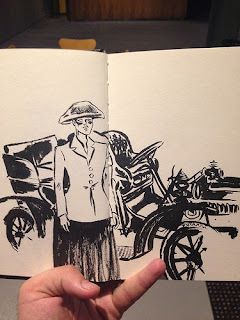 Dibujarlo fue dificil porque apenas tenia unos minutos para hacer el dibujo (tinta china y acuarela roja). Hong Kong, a photo by david.jack on Flickr. Hong Kong is such a fast paced city, full of high risers, not only for business for also residential. 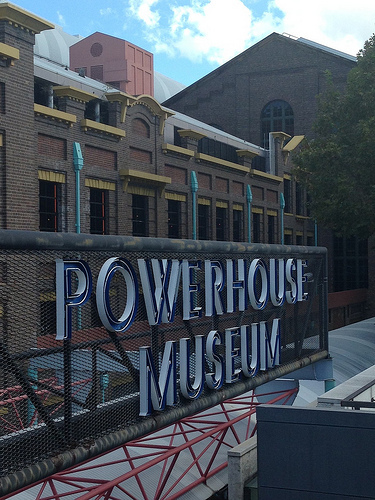 It's also an international city full of life and excitement. I'll try to visit it again soon. 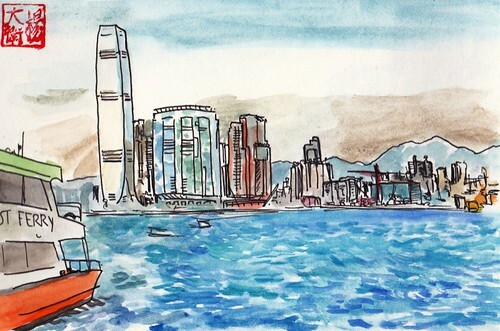 Hong Kong Harbour, a photo by david.jack on Flickr. 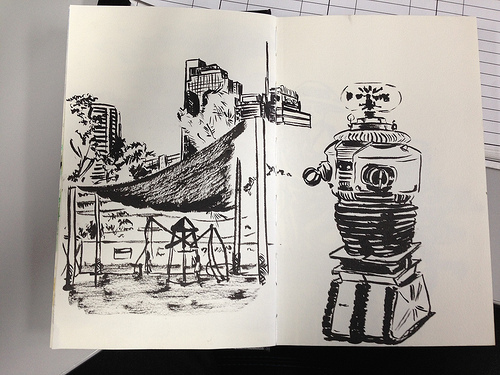 I went to Hong Kong for a couple days and I had the chance to do some sketching. 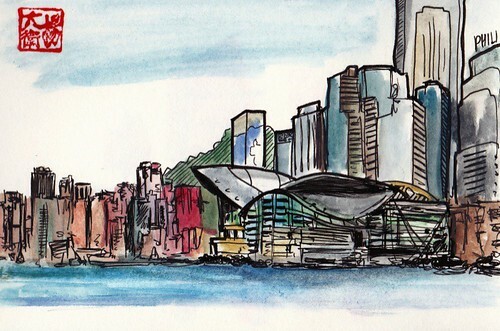 Hong Kong harbour is very busy so it was difficult to sketch the skyline as always was a ship in front of you blocking the view! Seven Samurai, a photo by david.jack on Flickr. My favourite movie of all times. 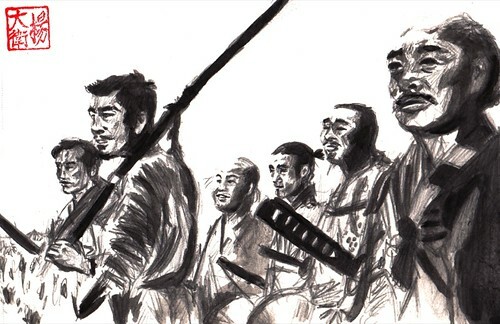 Akira Kurosawa was also an illustrator, and he will work some of his plots based on his illustrations and character design, laying out the humanity of the characters turning them in unforgettable. Mi película favorita de todos los tiempos. 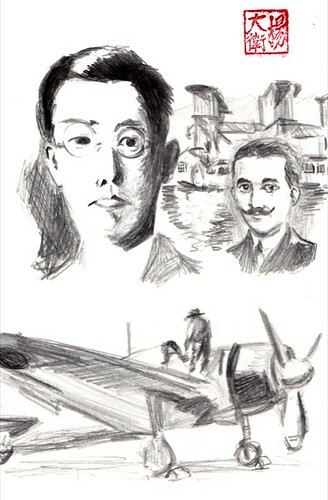 Akira Kurosawa también era un ilustrador, trabajaba algunos de sus guiones en base a ilustraciones y el diseño de personajes, creando una humanidad a los personajes y un realismo que los hacen difíciles de olvidar. Japanese Temple, Taipei, a photo by david.jack on Flickr. 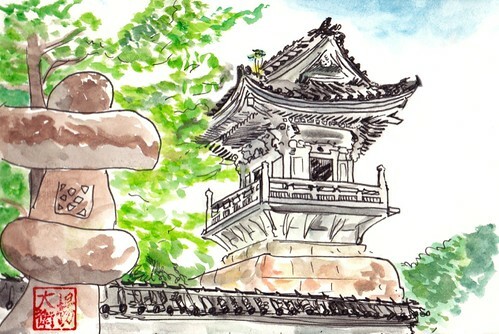 There is so many remnants of the Japanese Rule of Taiwan (1895 - 1945) around. This is a bell tower of a Japanese Buddhist Temple in Renai Road in the financial centre of the city. National Concert Hall Taipei, a photo by david.jack on Flickr. 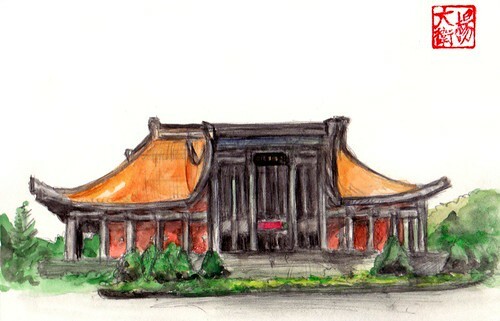 Sketch / Illustration of the National Concert Hall in Taipei, in the background the Chiang Kai-Shek Memorial Hall. North by Northwest, a photo by david.jack on Flickr. 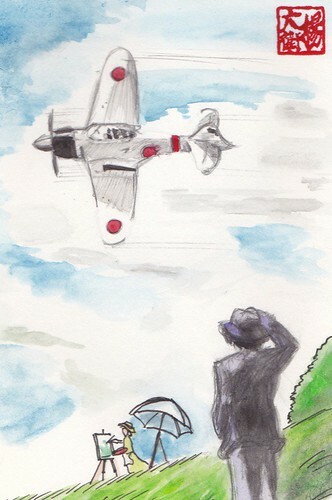 Cary Grant is escaping from a plane that tries to kill him. 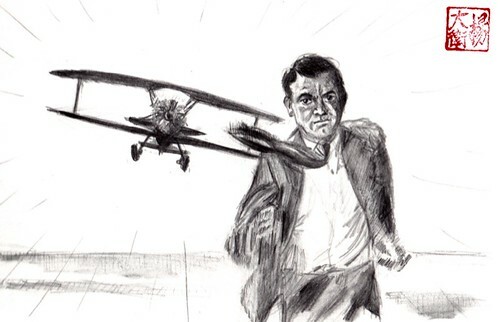 Cary Grant escapa de un avión que intenta matarle. The Wind Rises, a photo by david.jack on Flickr. 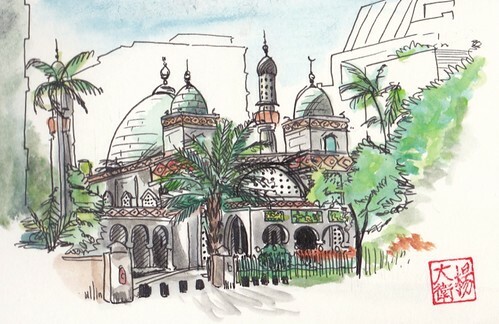 Taipei Mosque, a photo by david.jack on Flickr. Wow, computers have changed, since the last time that I used to update my blog in a more regular basis. 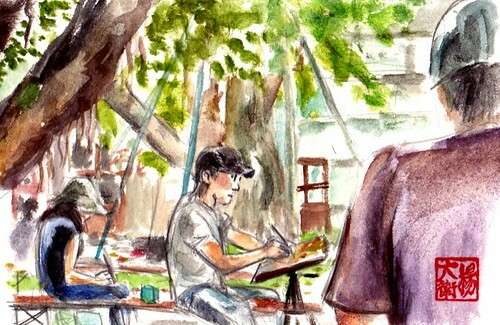 As I mentioned on my previous two posts, I started a new life in Taipei, Taiwan. The plan is staying here for a couple years. After that, will see where we end up going. Chiang Kai Shek Memorial Hall, Taipei, a photo by david.jack on Flickr. 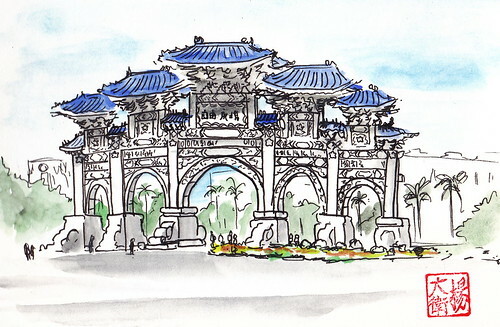 Illustration of Chiang Kai Shek Memorial Hall in Taipei. Chiang Kai Shek Park, Taipei, a photo by david.jack on Flickr. 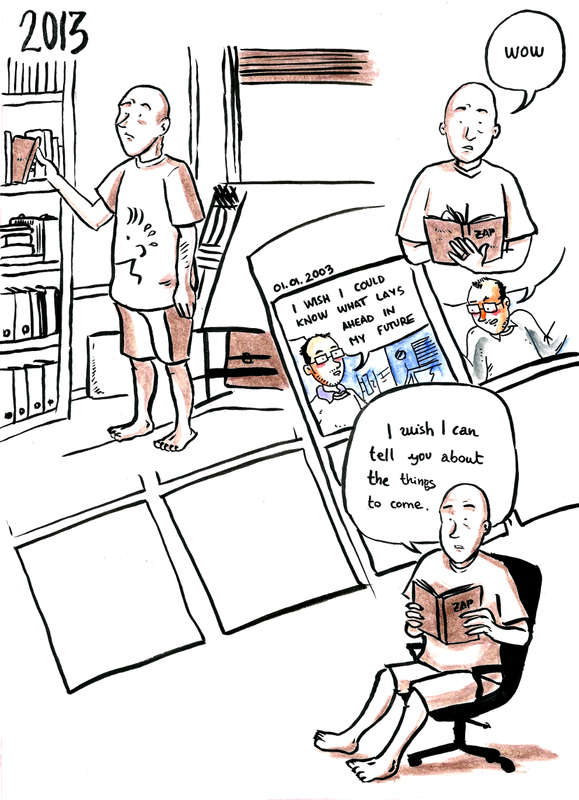 I haven't updated my blog since forever. Maybe few of you (hello? Anyone there?) follow me on Twitter. 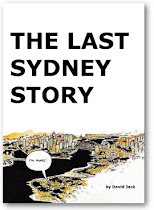 Anyway, long story short: now I live in Taipei, after six years living in Australia. 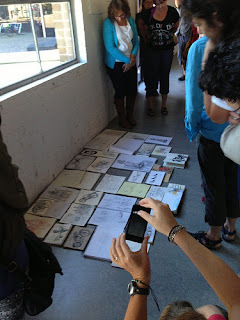 We were about 50 sketchers. Great day! 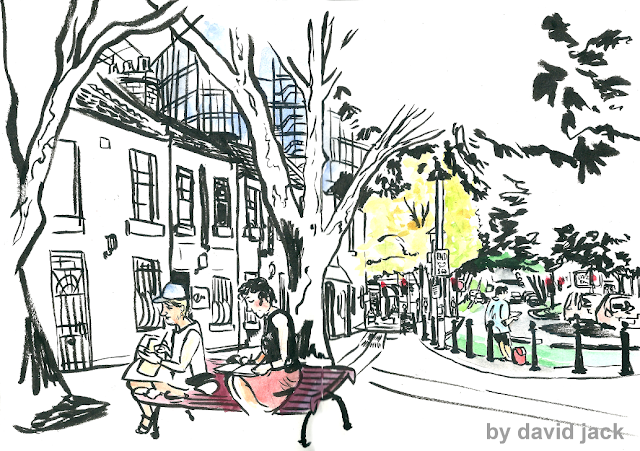 Pyrmont, Sydney. Sketch with some fellow urban sketchers.